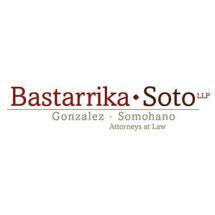 The Law Firm of Bastarrika, Soto, Gonzalez & Somohano, L.L.P. was founded in 2000 by founding partner Jose I. Bastarrika. The Firm's extraordinary growth and success was accelerated with the merger of the Civil Practice Group brought by Partner Franklin G. Soto. The latest merger with Partner Jerard A. Gonzalez brings a nationally recognized Immigration Group and the promotion to Partner of John T. Somohano has made the firm one of the largest, top rated, all minority owned firms in the State of New Jersey. We assist our clients in a variety of practice areas including the firm’s core areas of comprehensive litigation services before State and Federal Courts and Administrative Agencies. Our attorneys have been selected as Super Lawyers and Rising Stars by the Super Lawyers Publication published in New Jersey Monthly magazine. The firm is equally recognized for its experience and success in handling a wide variety of matters including the Divorce/Family Law, Personal Injury, Immigration, Criminal and Municipal Court matters, Bankruptcy, Commercial and Residential real estate, Worker's Compensation, Landlord Tenant Matters, Labor Union disputes, Contract Negotiations as well as Mediation and Arbitration matters. We are committed to providing the highest quality professional legal services to our clients, who will benefit from the collective experience of our attorneys. Our attorneys are all fluent in Spanish and combined share over 80 years of legal experience.